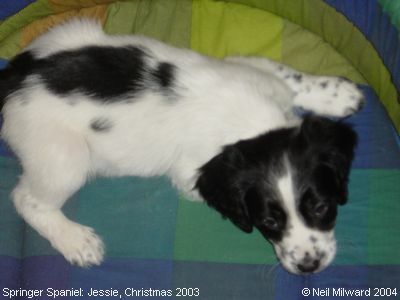 Jessie will be 9 months old at the beginning of August (2004) and she's been with her owners since she was 8 weeks - a Christmas 'baby' - see below!. 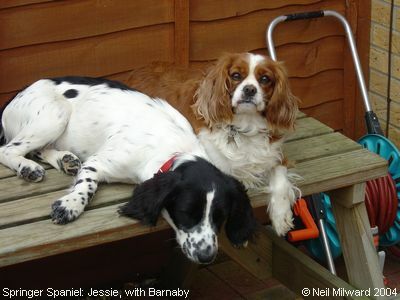 Her companion is Barnaby, a Cavalier King Charles Spaniel, who will be 3 later this year (2004). Jessie is around 8 or 10 weeks old here, and she's looking very much at home, and comfortable in her bed!